Our easily adjustable set of equipment racks can be obtained in a pre-assembled or in a flat packed form. 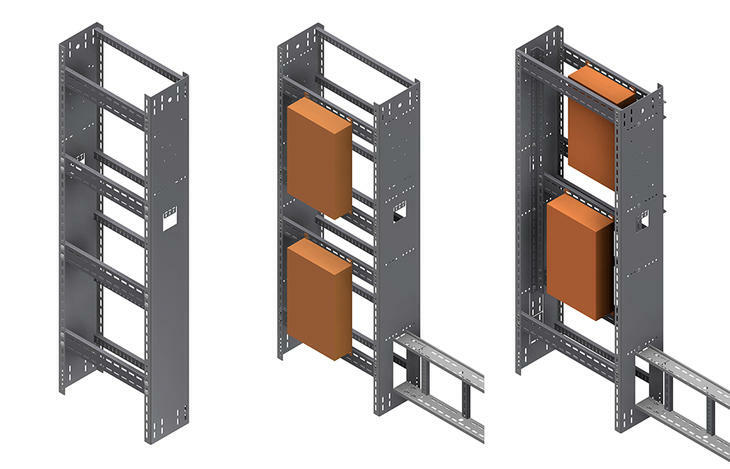 Our range of equipment rack designs provide optimal area utilisation and are easy and quick to install. Racks are available pre-assembled ready for fixing, or in flat pack form. Flat packing offers advantages for easy site transportation, storage and lifting, where no individual parts exceed 20 kg. Starter brackets are available for bolting or welding to the floor. Racks are available in standard widths from 600 mm to 1800 mm and in configurations allowing single or double sided installation of equipment. Roofs are available to protect equipment from falling objects and dripping liquids. All our racks can easily be adjusted and customised using a range of standard parts to adapt and utilise the area efficiently. Available in widths 600-1800 mm. A compact solution, but with sufficiently deep rail to allow cables to be efficiently bent and routed. A double sided version of the Standard 250 mm rack is available allowing equipment to be positioned on both sides. A rack constructed for great stability. Equipment can be installed on one side, suitable when cables are being fed from below. It also offers the possibility for an OE 100, 300 mm wide Cable Ladder fitted vertically below, providing more room for larger cables. The Rio rack has the same stable construction as the standard rack and shares the same side rail design. The key difference is that the equipment on the Rio rack is recessed between the side rails rather than fixed on the outside. To complement our rack range, we offer a range of related products, including Utility Stations and Telephone Hoods. Custom designs are also available. Please contact us for more information on these types of products. Our versatile equipment plates are designed to fit a range of different equipment from multiple suppliers. Custom made versions of equipment plates for specific applications are also available on request. The Standard Equipment Plate can be combined with Z-brackets to further increase areas of application. The bracket is also used to install the equipment plate onto the support. A roof can be attached to offer some protection from the elements, collisions or falling objects. 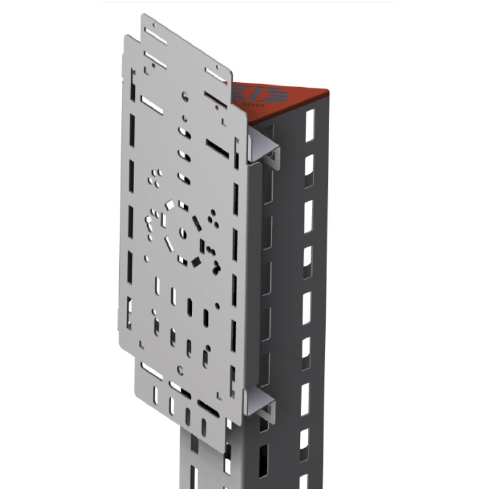 By combining standard products such as our OE Cable Ladder and Mekano® triangular support channels, it is possible to easily design and build instrument stands and supports on site for any application or eventuality, or utilize standard modular designs. 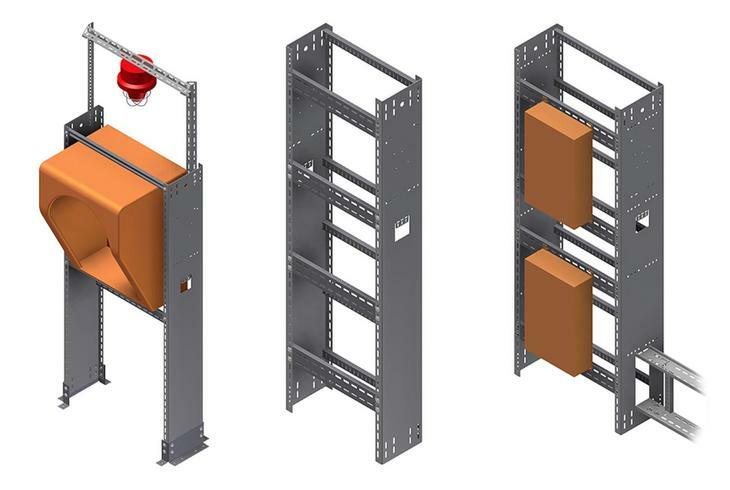 Our range of equipment rack designs provide optimal area utilisation and are easy and quick to install. We also have a range of different solutions for instrument stands and our versatile equipment plates are designed to fit a range of different equipment from multiple suppliers. Custom made versions are also available.